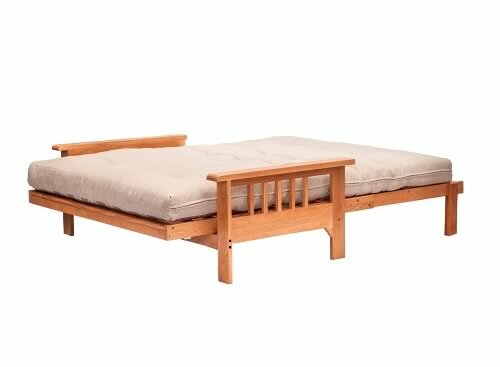 A popular classic design oak framed futon sofa bed that makes a perfect addition to your spare room, home office or living area. Optional easy ‘zip on / off’ dry-cleanable 100% Cotton drill in a choice of fabric colours. 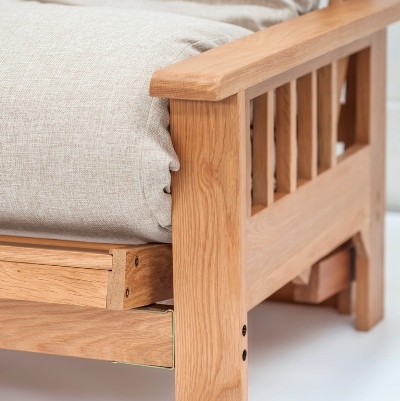 Very popular 2 seater sofa bed with distinctive Oak timber frame, easy to convert from sofa to bed and back again. 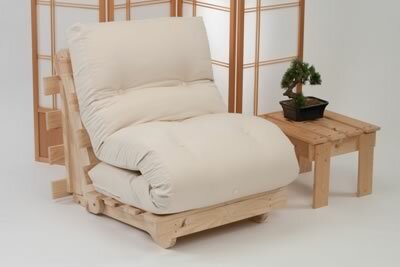 Supportive comfortable seat on an attractive natural finished, simple style, sturdy frame. 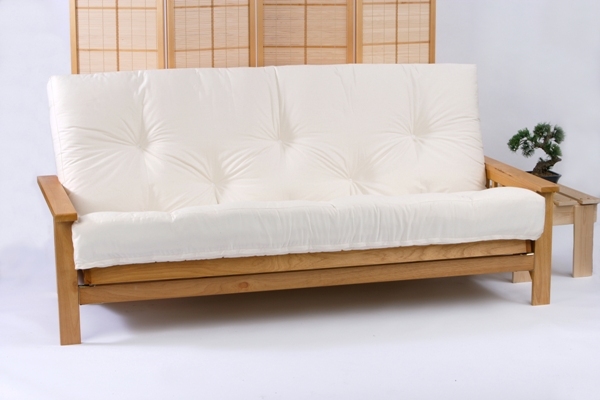 The Iowa is available in the standard 2 seater with a 137cm / 4ft6ins bed. 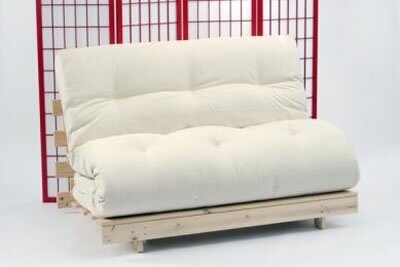 Sofa frame width 154cm (4ft6ins size) / Depth 38" (97 cm). 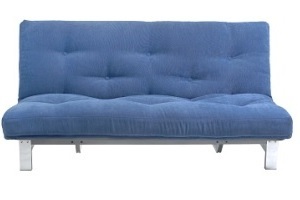 Sofa Height 3ft (92 cm to top of back). Self-assembly which should take no longer than 60 minutes. 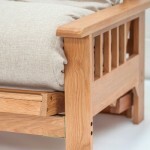 Oak timber frame with Scandinavian redwood pine seat and back slatting. 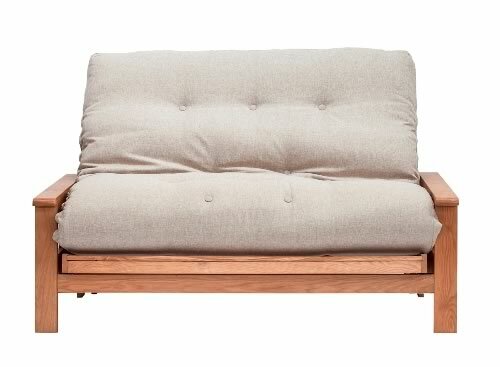 The futon (cushion) is substantially constructed with lambswool, woolfelt and polyester to a minimum thickness of 5.5" (14 cm). 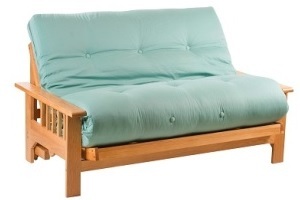 The futon is upholstered in a choice of hard wearing 100% cotton drill fabrics, select from the menu below. 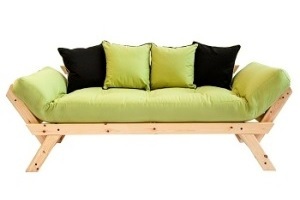 Also available with an optional Loose Cover in a choice of tough cotton drill fabrics for £69, from the menu below. 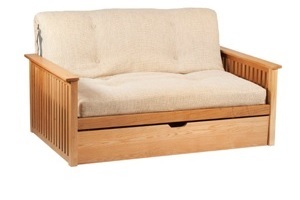 Every day sofa/frequent or permanent bed. 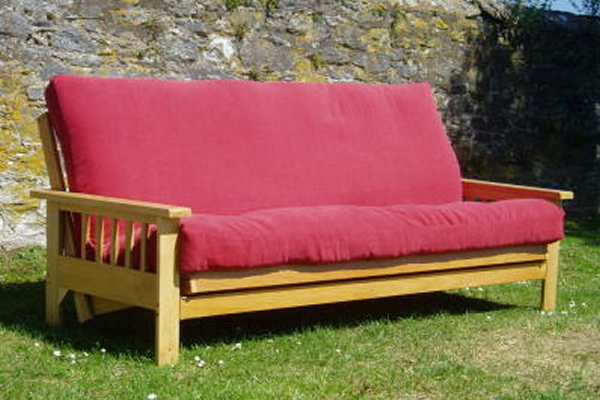 'Removable Covers' are usually in stock (free delivery with model), in a range of tough cotton drill fabrics, priced at £69. 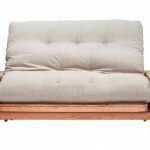 This item is delivered by parcel carrier to your home address on a pre-arranged weekday to suit you. 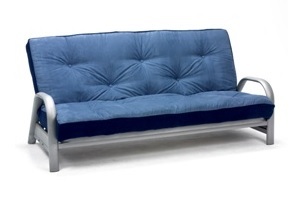 Metro 3 Seat Clic-Clac Futon Sofa Bed.